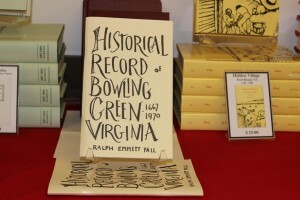 “This account of the Town of Bowling Green, county seat of Caroline County, Virginia, extends from the first settlement of the area to 1970. This is the first such compilation of the 300 year old community and its sources are varied, widely scattered and some have disappeared. Eight years of research and preparation were spent in this present account”, as said in the introduction.